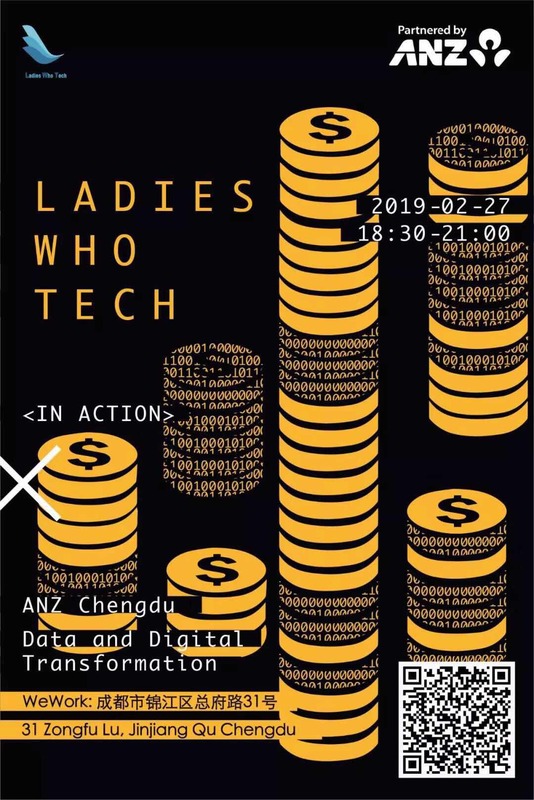 Ladies Who Tech (LWT) are launching their Chengdu chapter on 27th February, partnering with ANZ. LWT is a platform which believes in encouraging more women to assist and discover their potential in STEM. LWT was founded in Shanghai, and I am so happy to be part of the team bringing LWT to Chengdu this Feb.
For this launch event we have partnered with ANZ – one of Australia’s largest banks. ANZ has a tech, data and operations division based in Chengdu ~800 strong. If you are interested in tech and data or just a great opportunity to network with like minded people come along, everyone is welcome plus it’s FREE!